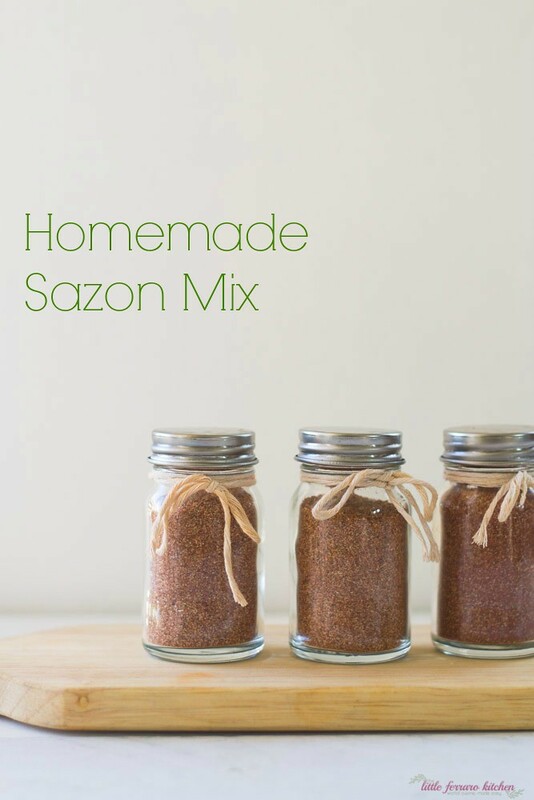 Homemade sazon seasoning is a mix gorgeous Latin spices, including achiote and cumin and other warm spices. My black beans and rice will never be the same ever since discovering homemade sazon seasoning! I can’t even explain the depth of addiction I have for this blend. The flavors are bold, the color is vibrant and my pallet is forever grateful. Sazon seasoning is a blend of beautiful Latin spices with the dominant ingredient being achiote or also called annatto. Annatto comes from the seeds of the achiote tree which are ground up to a powder. The color is so vibrant that it will give a gorgeous red-orange hue to whatever your cooking, such as my one pot sazon chicken with black beans. Homemade Sazon is just like the Goya Sazon Recipe, but better! 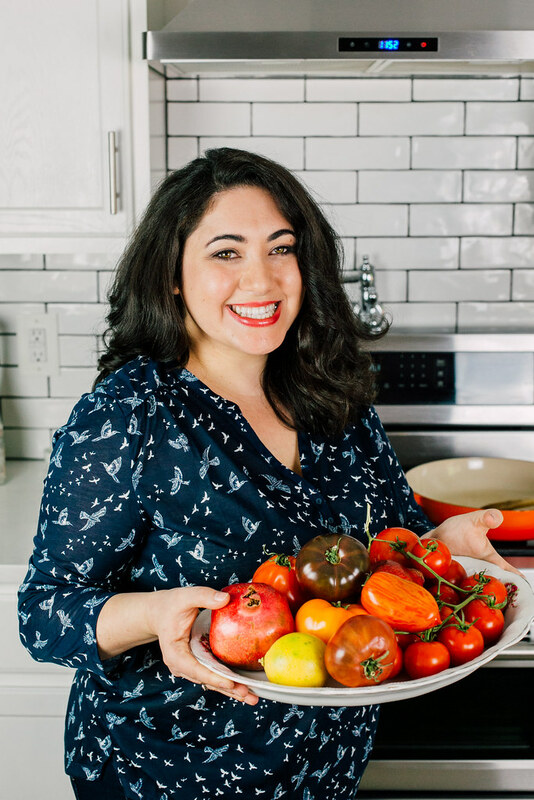 A few notes: You probably have most of these ingredients in your pantry except for the annatto, which can be easily found at many Latin markets. Sazon is also sold as a blend itself, most recognizable by the Goya brand, but most contain MSG, which I am highly sensitive to, so making your own sazon blend will be much healthier. Also, I did not add any salt to the mix, where many pre-made blends do. I always feel like you should season with salt as you wish so you have more control over salt content. Mix all ingredients together and pour into spice jar. 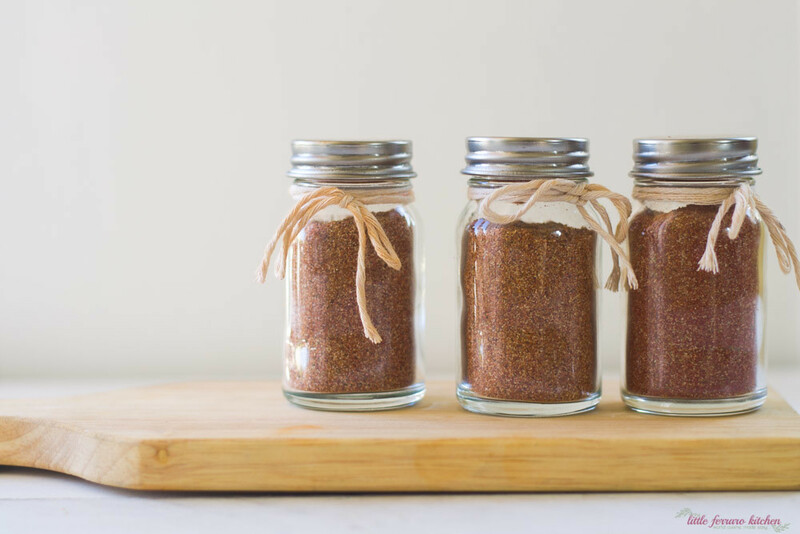 This spice blend is salt-free and MSG-free. Here is some inspiration for your food-loving friends! Oh my gosh I love sazon! So awesome to make it at home too. Oh how, this sounds like a great spice mix to use, I can already think of recipe to use it in! I have never heard of this before. I love everything that is in there and with beans you have my attention!! I love these kind of gifts! The flavors here are out of this world. I cant wait to try! I think the gift of spices is a great idea and yours sounds fantastic! Thank you so much for mentioning me! I truly appreciate it! I hope I inspire others to try our yummy Puerto Rican dishes! They are great holiday gifts! I wish I had this mix in my spice cabinet right now! Yummy! I love sazon, and for some reason it never occurred to me to make it myself! Thanks for the recipe! What a great idea! I used to add sazon to my rice dishes all the time! 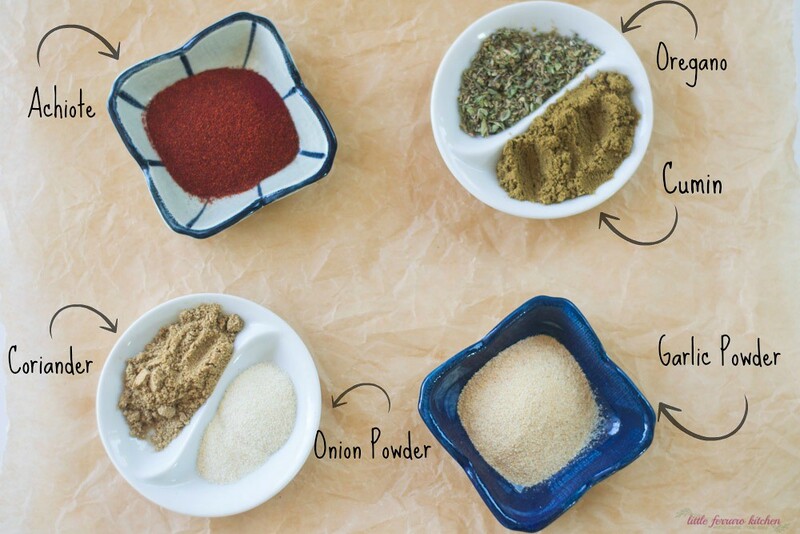 Making your own spice rubs is so much fun! This looks awesome, I love achiote!